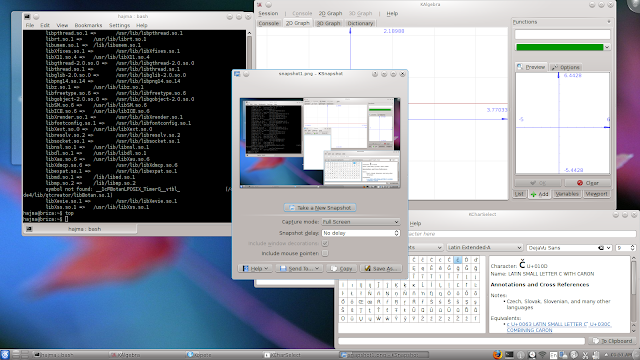 Binary KDE 4.6.0 packages for Solaris 11 are available at the usual place. The only parts missing are kdebindings, kdeplasma-addons and kdepim. Unfortunately these are not buildable at the moment. On the other hand 53 localization packages are present. There is an interesting powerdevil related crash when one logs into the session, but apart from that it works quite nicely. The packages were built on b151a so OpenIndiana users might prefer to build them themselves.